Rita, a self-professed night owl, has come across a confusing case. As a Brooklyn detective, she believes she has seen everything. However, when a boat crashes into a dock with several dead bodies drained of blood, she knows it has to do with the supernatural. Rita’s mother was a leader in Carribean supernatural studies. She gave birth to Rita and went insane. Rita has decided to go back to work even though she is still coping with the death of her mother 3 months ago. Now Justice, Rita’s partner, believes the supernatural stuff is just outlandish. He believes there is a natural born killer on the loose. When they start to investigate, Rita meets Max and his driver Julius. Rita doesn’t know that Max is a vampire looking for his mate so he can continue his reign of terror. And with his new ghoul Julius assistance, Max plans on making Rita his. Max believes that he and Rita will rule the night and take over the world. She just has to give in to him. But her partner Justice will do anything to stop him. 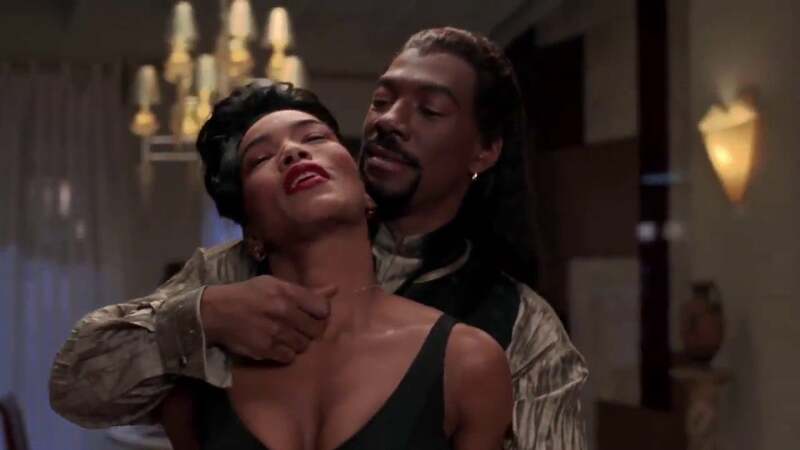 Following the classic formula of a vampire movie, Vampire in Brooklyn delivers the goods while allowing Eddie Murphy to play trademark roles. With the magic of make-up, he becomes a preacher, a stick-up guy, and a fearsome vampire. When watching this movie, remember that the times of make-up and CGI has changed significantly. So, Max looks more like a Klingon than a vampire. It’s the humor that sets this movie apart from other films. There are some decent one-liners and a little scare here and there. This movie follows Wes Craven’s (the director) tactics of letting you imagine the horror. He knew your imagination could come up with a more horrible scenario then he could ever dream of in the studio. This movie is worth watching at least once. #MarshallMovie – Review Repost – In Stores Now!! !